Laura co-founded Orion Business Solutions in 2012 to provide Consulting, Coaching and Facilitation services to clients across a range of industries, including Asset Management and Insurance firms in the City and private clients. 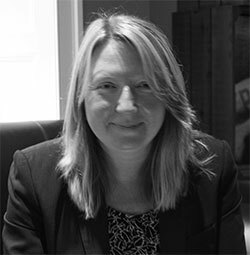 In a career spanning more than 30 years, Laura has held senior HR, Operational and Customer Service Executive positions across three industries working for British Airways, Securicor and Fidelity Investments and holding Board Level positions in the latter two. Laura has also worked as a Consultant within organisations and independently. Laura’s experience combines her passion for customer service with her operations management approach to process effectiveness and efficiency underpinned by her absolute belief in the role of corporate culture and leadership example in enabling employees and organisations to realise their potential. Throughout her career Laura has worked in periods of significant change, ranging from the exponential growth of a developing business, to post merger integration, to downsizing, restructuring, offshoring and exiting businesses. Laura’s experience ranges from leading Human Resources functions to Programme Management to leading large scale Operational and Customer Service teams both in the UK and internationally. Laura is a qualified Executive Coach and holds a master’s level certificate in Executive Coaching from Bristol Business School and the ILM Level 7 Executive Coaching qualification. She is a certified user of Hogan Psychometric tools and Myers Briggs (MBTI) and uses these instruments both on an individual development basis and as a useful assessment tool ahead of individual and team coaching and facilitation. Laura, who studied her MBA at Lancaster University, has lived and worked in the UK and India and has travelled extensively throughout her career.